Two years ago, I published what are likely the most extended interviews with John, climaxing just a week after the new series was announced. That plus the show's self-conscious anniversary mark the perfect occasions for my own return after my longest break from posting Twin Peaks material in two years. John and I discussed his book, the experience of watching the show when it originally aired, the upcoming Twin Peaks season, and even his thoughts on True Detective and Fargo. And just for fun, as a coda John ranks his five favorite episodes (as well as his least favorite). Can you describe the process of getting back into this material, deciding to write the book, and exploring not only the TV show again, but also the magazine itself? I had basically withdrawn from Twin Peaks for many years because the magazine ended in 2005. It never looked like there was gonna be Twin Peaks again so I semi-retired from even thinking about it! Then, out of the blue, there was the Missing Pieces blu-ray which was pretty stunning. We’ve talked about that before. Our conversation happened in three parts. One part was before The Missing Pieces, but it was in the air, second part was after Missing Pieces but before the announcement. And the third part was after the announcement. So if you look at those three conversations, it’s three different eras of Twin Peaks back to back. You are absolutely right, and that first conversation would be how I was, you got me talking about Twin Peaks when I’d not been thinking about it for a long time and didn’t expect really to be thinking about it again. The announcement comes on, this is in 2014, and suddenly I am getting inquiries from people, are you gonna start Wrapped in Plastic again? Of course it’s a different time now than it was then. Everyone’s got their own blog about Twin Peaks or their Facebook pages, five different, twenty different Facebook pages about Twin Peaks. I just didn’t know what I was going to do and I’m looking back at the magazine and I’m seeing what I think is pretty good material, particularly interview material and the essays about Fire Walk With Me. They’re there but they’re out of print. I can’t put the magazine back in print, that’s impossible for various reasons, so I wanted to make it available again for people. I think it’s valuable. We spent thirteen years documenting the show. We never really finished documenting it, but we did a pretty good job getting a lot of it done. And so it was there, let’s get it all in one place, at least some of the more important stuff in one place and try to get it out. And I was very lucky that Brad Dukes had done Reflections. He essentially did it on his own through a self-publishing service that Amazon offers called CreateSpace. When I found out, I thought, I can do that. I wasn’t sure what it was gonna be at first. As I said, the essays were the first thing. I wanted to get them out there in print, but I knew I needed more so it just evolved as I thought about it. The fun part for me was going through the interviews and pulling the quotes from all the different people and attaching them to their appropriate episode. Then arranging those quotes to give it some flow so that one quote would complement another. So that was like putting a puzzle together and that was great fun. Talking about the magazine itself, I have great admiration for the whole thing that we did. I’m proud of every issue that we put out. Some were definitely better than others. As I look at the early stuff, some of the writing was just really pretty bad. I had to reject some things completely, I didn’t even bother to put them in and then a lot of it was rewritten. I had to go in and polish it and strengthen it. We were under a deadline every two months, and had to get an issue out every two months and so we started sometimes getting into shorthand. There’d be commentary about the episode and more than once I found the phrase, “Richard Beymer steals the scene!” “Kenneth Walsh steals the scene!” “Piper Laurie steals the scene!” And I was like, oh, wow boy this is pretty weak and so I tried to clean that up, I tried to go back and think when we say Kenneth Welsh steals the scene, what are we really saying? What is he doing? Say something else there. “Kenneth Welsh brings a sharp, nefarious quality to the character in the scene,” you know what I mean? What is it? There’s two processes going on in the book. There’s the process of the original writing, and the collection of the interviews for the magazine and then there’s all the editing you did to make it into the book. And it really feels like a book. It could just be oh, a collection of stuff from Wrapped in Plastic but instead it flows more like it was written for this. I thought I could cut and paste: I’ll just take it and I’ll stick it in and I’ll print it. I mean, it’s already been through an editing process, Craig and I wrote it, we’ve been over it. And it was very quickly apparent…for one thing, a book is different from a magazine, because the magazine had a sense of continuity to it. The way we would write in the magazine would assume you had read a previous issue or that we had the freedom to revisit it somewhere down the line. "Oh well, we’ll talk about this again in a couple issues." There was this different tone to it and also there was a sense that the magazine was fleeting in that the issue was only gonna be on the stands for two months. A book is different, a book has a little more permanence. Essentially it’s a different medium that had to be presented in a different way. Some of the magazine articles had a breeziness to them that didn’t work in a book. At a certain point I realized that I had all this material - I’d analyzed every single script and how the script may have differed from the show. In an ongoing network show, looking at how the script and the episodes differed could give you some insight into how the show itself was being developed. You can see how they planned to abandon a certain plotline or alter a certain line or decide it’s better to go this way than that. I obviously spent more time with Twin Peaks than I had in many, many years putting the book together and I focused on the second season in a way I never focused on it before. I had never sat down and binge-watched Twin Peaks. While I agree that the first part of the second season is very rewarding and extremely good, it is meticulously plotted out and there’s not a lot to talk about it because it is not flawed if that makes any sense. You’ll notice there’s more written about [the late second season] episodes than some of the early second season episodes. Suddenly we see some experimentation in those episodes that is not there in the earlier episodes. You’ve got some scenes being moved from one episode to another, scenes being rewritten, if you look at the script dates, on a day that maybe they were shooting. And you got this sense that they were scrambling but they were also freed up a little bit. They’re adlibbing some lines. The variations are striking. So you’ve got Windom Earle appearing in the black and white makeup which came out of nowhere. Tim Hunter throws that in, right? Which suddenly becomes significant piece of Fire Walk With Me. What’s going on there? Laura displays that look in Harold’s apartment in Fire Walk With Me. In Reflections Hunter says he got the idea from Mizoguchi films. Like Ugetsu for example, the characters when they’re ghosts they have that white face, so he took that. But the funny thing is, if you look at Lynch’s early works, he has that too because he has it in The Grandmother and The Alphabet where their faces are painted white and they’ve got bright red lips. So it’s almost like he’s tapping into this thing that does connect to Lynch but it’s coincidental. Hunter and Lynch were friends. They go back, and I would not be surprised at all if Hunter is comparing notes with Lynch. He’s like, David, I’m gonna do this thing and Lynch is like, go for it, that’s great! I see that at the end of the second season. The end of those last four episodes are quite rewarding in many respects. They’re forgotten (not the last episode) because we’ve had the Civil War, and we’ve had Little Nicky. But those episodes are interesting to watch. There’s something deeper going on there. You say episode twenty-four is not a good one – there seems to be three camps: does the show recover on twenty-three when Josie is resolved and Bob and the Little Man come back, or is twenty-four when the Josie plot, the James plot, all of that stuff is over with, or is it twenty-five when Lynch comes back and Cooper gets in the suit? I say it’s twenty-four. Something about that one...I think it’s the way James Foley shoots it. So it’s interesting that you had a quote in there saying he hated working on Twin Peaks, and didn’t feel satisfied. It's [also] interesting to bring out [episode twenty-two,] the Diane Keaton episode. There’s definitely a split opinion on that episode and I do believe that people who watched it originally, particularly early on when it was first aired, have a much higher regard for that episode than people who watch it straight through. We were watching it week to week and of course occasionally there were gaps and it was a pretty flat show for a while there. James has gone off to Evelyn Marsh, we have three weeks or four weeks of that and it’s just, nothing’s engaging us. And the Diane Keaton episode comes in and suddenly there’s this effort to go real overtly artsy and I think we all possibly were just needing a fix. We got a hit off of something and we responded to it, and that initial response to that episode has never gone away. Twenty-five years later I still think of that episode...oh the Diane Keaton episode, it was like a breath of fresh air. But you have opened my eyes to it, and I think there’s been some other folks at the festival last year, seeing it from a different perspective. They’re kind of put off by it. And I wish I’d put a little more in the book about why we respond to that episode the way we do, because it does have a lot to do with it being on network TV week to week. How important was it for you to make Fire Walk With Me essentially a third of the book? 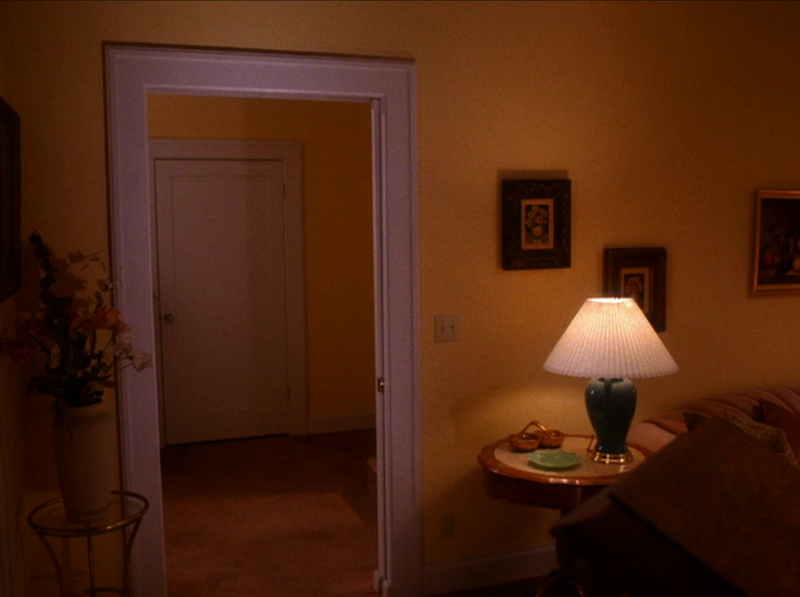 Which is such a radical conception to have of its place in Twin Peaks even now. 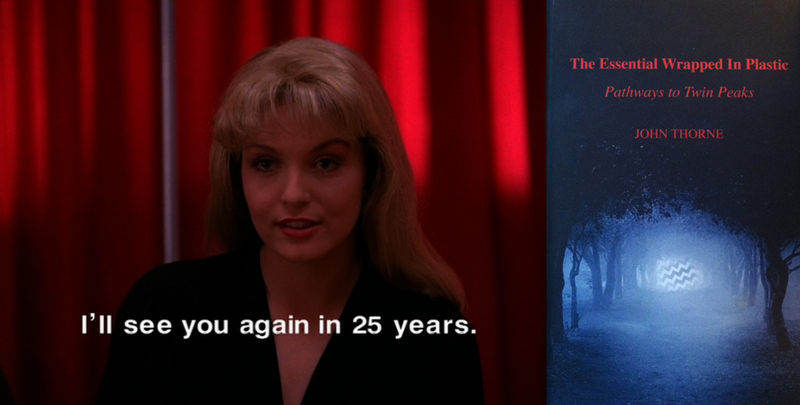 ...the "Dreams of Deer Meadow" essay [suggesting the first half-hour of Fire Walk With Me is Cooper's dream], the Laura Palmer essay, and some of the other essays that are in the appendix. 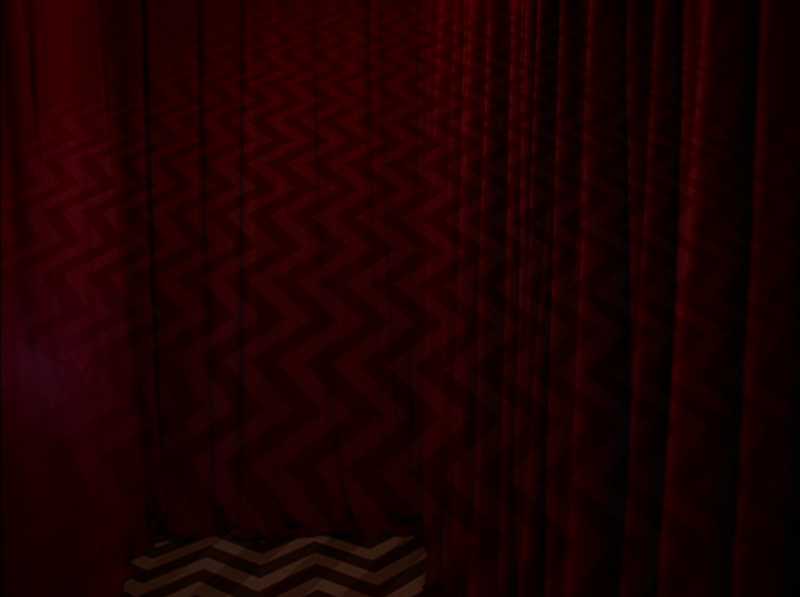 Of course the essay on the finale where Cooper splits in half [too], those are essays that came about as the results of years’ worth of thinking about Twin Peaks, about Fire Walk With Me. For a long time, it seemed to me that Fire Walk With Me was significantly flawed and maybe the result of circumstances beyond Lynch’s control. I had a hard time getting my hands around Fire Walk With Me, especially when Lynch would say I really love it, it’s great, it’s one of my favorites. I never disliked Fire Walk With Me in any way but I pondered it for a long time. And so those essays that I wrote, whether they succeed or not, for me they were accomplishments. I started to see it in a different way and felt comfortable about writing about it at least for me. In a way where I could look at the film and say, wow that isn’t just randomness or the result of an accident, that is deliberate. There’s a creative mind at work here that’s doing this on purpose. [Likewise,] I really honestly believe the new series is not going to be something that you can respond to immediately. In terms of its cohesiveness and its completeness and how it works and what it’s trying to do, it may take me years, I can imagine it taking a very long time, to come to some sort of comfort with it. I’d never really gotten to read Wrapped in Plastic before except for the essays that you very generously sent to me in the past. So I’m reading it and a lot of those quotes that have been out there for 20, 25 years I’ve never read before. For me they’re new material, it’s oh wow, I can’t believe Harley Peyton said this... It’s interesting to be able to keep finding new things about this show. So much of it’s still completely a mystery even so. I make sure to note in the back of the book, when and where each interview happened in Wrapped in Plastic. Some of the interviews we did - for example Mark Frost, we interviewed him in ’94 and it was only a few years after the show was over. It’s still fresh in their minds. I won’t name names, but there’s certain actors who tell and re-tell stories and I see the story subtly changing. They probably are honestly remembering it that way - they’ve told it many times. I hope, getting some of these people early on, we get perhaps a more accurate telling of a story. Because they were telling us much closer to the time of the event. You ask someone now, it’s twenty-five years later. Particularly the Frank Silva [Killer Bob] interview is really nice to have. That was one of my favorite parts of the book, I loved that. I love how specific it is. It’s like, we were in this office, doing this thing on this project for Dino De Laurentiis and that’s how we met. And there’s none of this general, well this was the spirit of the times - no, we were in this place doing this thing at this time because it was a year or two ago. David Lynch isn’t going to talk about it, there’s no one around who’s going to talk about what was going on both behind and in front of the camera during the pilot except Frank Silva, so there it is. Those were the thoughts I had in terms of the value it might have to a Twin Peaks fan or a Twin Peaks student, someone who really is very much interested in the detail. That’s an important point, because there’s almost a second generation of Twin Peaks fans, which I would definitely place myself among because I didn’t watch it when it was on and I only discovered it on DVD. And so everything you’re getting at this point…there’s benefits and drawbacks. Benefits, you have a lot of time to look back on the show and see where the dust is settled and come to certain conclusions that were probably hard to reach at the time, especially when you couldn’t rewatch it. I think what your book and the magazine and your perspective are able to bring to it is the sense of being much closer to the original event. One of the big stories of Twin Peaks really is the way we experienced it the first time it aired. And we really can’t recreate that. And I can’t go back and re-experience that. But I do know what happened and it was a stressful time to watch it as a fan. Because you didn’t know whether or not there were gonna be more episodes. You didn’t know what the future held. Particularly in the second season, I talk about it and I try to use quotes to reflect on it. The show went on hiatus and then you didn’t know, was the show even gonna come back? We interviewed TV critic David Bianculli and I included a quote or two from him in [the book]. He noticed what we all did. It seemed like we were all rooting for that show, and when it would come back from a break...it would be kind of lackluster, it didn’t live up to the promise of the episode before. And then the next episode would hit on all cylinders. You think oh man, if that momentum had only been there. It helps you understand why the second season is a little bit plain and flat at a certain point. This show was the victim of a network programming environment, and they had to service a large cast, and they had to get it out every week, and they weren’t even sure if they were gonna continue. So they couldn’t necessarily plot way in advance. In the mid-second season, you get a pretty flat paint-by-numbers TV soap opera for the most part. I wanted to get a little of that, Harley Peyton, and Robert Engels, and even [Mark] Frost talking about the mechanics behind the scenes. While we were watching it and while they were making it...it’s all somewhat lost to someone who can now just sit down and watch the whole thing. I didn’t want to lose that. I’ve actually been talking about this a lot online lately. This idea that Twin Peaks as it was originally conceived and executed, that pilot and to an extent the first season, does not lend itself to a 22-episode season in season out format. It just isn’t that type of show. [However] one of the reasons it’s such a fascinating object of study is because it’s so uneven. A lot of the commentary on Twin Peaks focuses on when it was just kind of a flawless little show and then says, well then it went off-kilter. Yeah, that’s true but would I really be talking about Twin Peaks as much and thinking about it as much and engaging with it as much if it was this perfect little show that hit all the notes right and then bowed out? I don’t think I would. I think I’m more fascinated because it’s so flawed. And it’s so uneven, and it’s such a roller coaster, you know? It’s really interesting that you say that. It’s a great, great observation. There was a writer back in the eighties or seventies. It might have been David Gerrold, the science fiction author (I don’t want to attribute it to the wrong person). Someone said the greatest works of art are the ones that are flawed. That they have some flaw in them. Apocalypse Now...Coppola went way overboard on that and it got out of hand and Marlon Brando comes in. He’s got his own agenda and you’ve got Coppola and Milius rewriting the script day to day to accommodate him. So the story is not cohesive necessarily, it gets a little hairy. But the final product, maybe because of that, becomes something better than just the standard Vietnam War movie. There may be other examples, that’s just one. You see a creativity come through in the product that is rewarding in a way that it might not have been if they had been able to just…ok, A, B, C, I’m done. Great, wonderful, exciting, satisfying piece of art, but you’re right, then it’s kind of over, and you move on. For me, I think Mulholland Drive is an example of this, Fire Walk With Me is certainly an example of this, where Lynch is suddenly faced with circumstances he did not plan for. And how does he find a way around it that can stay true to his vision, allows him to challenge his creativity? Some people have said, had it just ended and been resolved at the end of the first season, it would have been perfect series. Well yes, but you’re absolutely right, we might not be talking about it right now. It would just be one of those things that happened. That imperfection is what keeps you coming back to it because you want to resolve it. I think that’s where Twin Peaks’ audience engagement steps it up to another level. Because it’s one thing to have the audience trying to pick out clues and follow the mystery, that’s all to be expected. But to have the audience actually trying to make material more complete, what you’ve done, what I’ve done, what a lot of people who engaged with it have done. You’re almost becoming co-storytellers in a way. Is that in the movie? Well, yes and no, but more importantly the movie and the series give us room to imagine it. And that’s what’s so powerful. The original series, part of what keeps us coming back is the fact that it was being made up as it went along. Not in the sense that he was making it up as he was shooting but literally a piece of it comes out, then he would go back and do something else with what was literally out there and irreversible. So by the time you get to the end you’re watching the process of creation along with the story being told. [On the other hand] the new series was shot as an actual film production ahead of time and then split into episodes. So yes, it’s gonna be curious how it manages to be Twin Peaks without being able to experiment in that way, and not really wanting to. Clearly Lynch went out of his way to avoid that. I think it will be! I can’t envision how at all. You look at Eraserhead and you look at Mulholland Drive, I’m just picking Lynch films, you can talk about them at great length, and watch them over and over again, and get new stuff out of them. I fully expect the new series will be that. That we will find new value to it and new insight every time we watch it. We’ll see something a little different. It won’t disappoint. I think hopefully with Frost involved we’re gonna get a certain urgency and momentum to the story. I said that there was some drawbacks to that but really if it’s done right, there’s not a lot of drawbacks. When you see the first season you really do have a sense of it moving toward a goal, it really is moving toward this endpoint and you are caught up in it and I do hope that the new series when it comes on – unfortunately we’re hearing second quarter of next year. Second quarter of next year? Yeah, it was announced yesterday by Showtime, it will be sometime either April, May or June, they haven’t said which one. Although I’ve gotta say if it came on in April I would be thrilled because the first episode came on April 8. So it would be kind of cool for it to come on in April again. If I was them I’d put it on in April and not in June. June is summertime and people are out of school and people are going on vacations and stuff. The beauty of them putting it on Showtime week to week was in between the episodes you’re going to have that time to talk about it and debate it and think about it. And I think it’s a slightly different dynamic in the summer than it is when you’re in a more regularly scheduled time of year. I missed this announcement, so maybe they already said, but do you think they’ll split it into two seasons? What they shot? I have a strong feeling that yes, there’s gonna be two years worth of Twin Peaks. I think they probably know they’ve got gold on their hands. And do you think they’ll wait an entire year or do you think they’ll wait four or five months and put it back on in the fall? My guess is an entire year. It’s conceivable that we get eight or nine or ten episodes, that many, in 2017 and then we get potentially that many, or maybe it will just be six episodes, in 2018. I don’t know how they’re gonna do it. Who knows? We could be completely surprised. I expect to be surprised. But I think given the huge cast that’s involved in this show and the amount of time that it has taken them to shoot it, I believe that they have enough material, far more than they would need for a single season. What’s your take on True Detective? They’re not going for a season three and a lot of people compared it to Twin Peaks saying you have this stellar first season that people couldn’t stop talking about and then in their minds a disappointing second season and then it got cancelled but that sets it up for a cult following. First of all, a couple of things that are significantly different. It was an anthology series so those two seasons are self-contained and they have beginnings, middles, and ends and it’s done. I feel a lot for Nic Pizzolatto, who created the series, because that first season in my mind was just outstanding. It was brilliant, I have watched the first season more than once. I think I’ve watched the first episode four times. I loved the first season and I think, you suddenly have to come up with something in the second season and he’s probably, as an artist he’s thinking I’m not gonna re-do what I did. I’m gonna do something brand new. So he went ahead and tried for something different and I think he would probably agree it didn’t succeed. I admired the second season a lot. There were things in it that I thought were very well-done and I enjoyed it all the way through. And there are some things I’ve read about it, particularly an interesting observation about the guitar player who’s in that seedy bar. That she might be a supernatural figure because she never interacts with anyone, and never talks with anyone, and comes and goes according to the ups and downs of the characters’ plot lines. And then in the end she packs up and walks out. There’s some stuff in there that’s interesting. That’s my take on True Detective. Sadly, season two is somewhat forgettable. I could not sit down with you right now and go through the plotline very clearly. I don’t think anybody could! But I can’t even remember – but the first season was absolutely astounding. Not only the writing, and the acting, but the way they were doing flashforward/flashback through four episodes and then it shifts fully into the present. Pretty tricky storytelling and they accomplished it. And he had a different issue to deal with because the director was gone and supposedly they didn’t get along. I think there’s a lot of great stuff in that script so I wouldn’t want to say oh season one is all direction. It was a nice combination. Cary Fukunaga, he was brilliant, he was extremely good. Everything was right in that first season. The director was perfect. The writing was perfect and the acting was perfect. Everything came together nicely. I gotta ask you, have you watched Fargo at all? No, True Detective is the only TV show I’ve watched, honestly this is gonna sound ridiculous, from the past ten years other than a few seasons of Lost. Fargo, I watched season one and it was a good show, I liked it. Fargo season two was one of those shows that I would actually get close to comparing to True Detective season one. Because Fargo season two was a bunch of writers and directors who were saying, let’s just see what happens. We’re gonna jump off the board, we are just gonna go all out, we are gonna play with the editing, we are gonna play with the content of it. There are some stuff in there that put a lot of people off, I don’t mean violence or anything. It had a science fiction element to it, I’ll just tell you that. It’s subtle and it’s not so subtle. 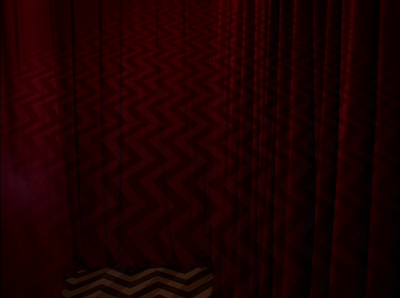 Particularly the second to the last episode, it will literally…it’s like watching the dream sequence from Twin Peaks. A show that surprises me is a show that I really like. And you wouldn’t think that Fargo was gonna do that. Not every episode does, and it’s down to earth, and at the same time it went off into some interesting pathways. So I would give that my highest recommendation. Finally I just wanted to thank you for the essay on Laura Palmer. For me, at first, the film almost overpowered the series and it was a very disorienting experience. I remembered being angry with it in a way, because I knew it was a great movie right away, no question. But I felt that it had this Twin Peaks baggage that didn’t fit. I thought well, this is a really powerful story of this character and her last days of her life but all this other stuff that I loved on the show – the Little Man dancing, and the clues – it just doesn’t fit. Maybe he should have just made a non-Twin Peaks movie. And we actually talked about this the first time we talked. Because I was still kind of in that frame of mind. I had come to accept those parts but it still felt to me like it was divorced from the series. And I think what changed for me talking to you and especially reading that essay, is it “Transformation of Laura Palmer” or is it the…? Oh it changed names from the magazine to the book. In the magazine it was “Object No More” which was supposed to be a little play on “object no more” and then in the book it’s just “The Realization of Laura Palmer” which again is supposed to be a play on words, I don’t know if anyone gets it but Laura becomes a realized character when she realizes she hurts herself. And it’s Lynch realizing the character for the first time too. So when I read that, the really radical thing that that did for me, that I would say played a bigger part than anything else in getting me to see Twin Peaks as a whole and also getting me to do the work, the videos particularly, was this notion that there’s actually a story being told. Which sounds kind of funny, but I had always appreciated Twin Peaks more as an art film that’s purely about the experience that’s unfolding while you’re watching it. It’s not about point A to point B, it’s just this immersive experience. And it’s a great movie on those terms. However, there’s always something that feels a little bit missing or uneven or incomplete about it, especially in relation to the show when you just look at it that way. Because there IS a story framework in the movie. Is this just the bone of a narrative that wasn’t digested when he tried to make this movie, left over from the show? Or does it actually serve a purpose? So that essay in particular got me seeing the patterns that are there, especially the Donna and Ronette thing. [In criticism] there’s a little bit of tension between "do you read Lynch as a narrative artist" or "do you read him as a free-form avant-garde, almost a painter of film?" And there’s this idea that if you read him as a storyteller, it’s reduced to this very basic genre thing where the mythology is sci-fi and they’re from a planet and they’re warring over Laura’s soul and it’s not that interesting to me. On the other hand, I think it is interesting to look at it from a more artistic non-narrative standpoint BUT there’s still stuff that doesn’t feel fully digested. You looking at it as the arc of a character and actually analyzing it that way, that opened up a whole door for me. And it’s funny because I ended up coming to fairly different conclusions about a lot of the stuff. But overall it opened a door that I could walk through and find my own way to understanding it as an actual story, how it fits in with Twin Peaks the show and forms one big story. Which I think is a crucial thing to realize before the series comes back. I think what you can unlock in Twin Peaks, both the series and the film, is when you think about Lynch and how he perceives his characters. What are his characters up against? Usually they’re up against some element of themselves. And Lynch has actually said that. For me, that’s the key and it helps you start to make logic out of things that seem nonsensical. Because if you can keep coming back to the character…and I think that’s what Lynch does when he’s making a film. He keeps coming back to the character. Why are these things happening? Are they a dream of the character? Are they a mental projection of the character? Are they manifestations of the characters’ fears? Whatever. That to me is the key and if you come to a different conclusion, that’s fine but I think the important thing is to keep in mind what Lynch was thinking about his characters. I think that’s true of Dale Cooper, particularly in the last episode. He looked at the script and said this has nothing to do with Dale Cooper. This has to do with Windom Earle trying to capture Cooper. And what I want to do is explore that character of Cooper and I’ll put a story around it. But it’s the character of Cooper that’s got me interested. 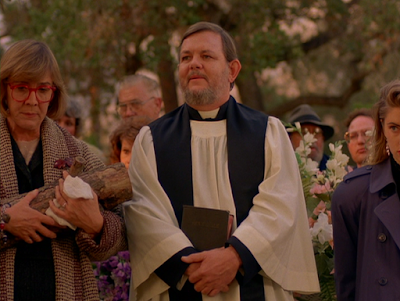 And in Fire Walk With Me, it’s the character of Cooper to some extent at the beginning, I believe. But it’s the character of Laura. 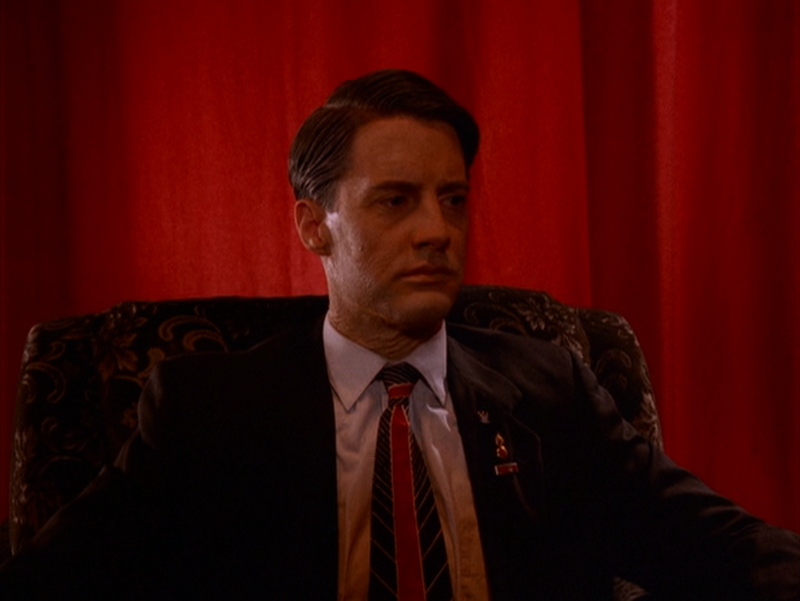 With some of his challenging work, you start trying to think about it in terms of how does Lynch perceive that character? That to me is a basic foundational piece of Lynch analysis. And yet it’s something that I feel like plays very little role in most Lynch analysis that I’ve read. Because of this perception that his characters are almost ciphers and it’s all about the world that they move through. You look at Mulholland Drive, and it’s all about character. And same with Lost Highway, and Straight Story. You can see that in all his other films: a characters goes on a journey and it’s really about the character’s psychology. The guy who’s only seen a therapist once and hates to talk about meaning...it’s all about the psychology of the characters. Even if he wouldn’t put it in those terms. It’s absolutely that way and to go all the way back to Eraserhead, that is Henry faced with the reality of a baby and the reality of a responsibility of a parent and what do you lose because of that, and what are your fears that are in there? And then he takes it off into this crazy, bizarre mental landscape. But I think you can come back down to that character and his fears and what’s happening in his life. And how it’s manifesting itself visually around him. So anyway, that is what I would…that’s how I’m going to approach the new series, that’s how I approach anything that Lynch would do right now. That’s my rationale for my conclusions in some of my essays. There’s a lot of people who do not agree with me on the dream theory and again that’s absolutely fine. 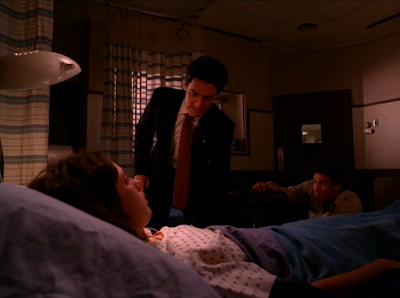 But I really believe in my gut and in my heart that Lynch did not want to lose the Dale Cooper character in that film. And when MacLachlan refused to participate, he was forced to keep the Cooper character in there in a whole different way. And Cooper was very, very important to him, he was not done with that character. And in his mind when he watches the film and maybe he watches it totally different, he doesn’t think of it as a dream but I do. There’s something in there that works for him in terms of Cooper. He didn’t just say ok, well I’ll throw Cooper in there for the heck of it. That’s a great way to put it and I feel like that gets right to the heart of what’s appealing about your perspective on the show. I have to say honestly the videos I did particularly on Fire Walk With Me are by far the most popular things I’ve ever put online. I’m extremely grateful for people seeing them, commenting on them, and there’s no way that happens without reading your essay. So on a personal level I have to thank you for that. Well, I thank you so much for saying those very kind words. It makes me feel great because honestly when I wrote those essays, those essays were really in some ways from the heart and obviously from the mind but I really wanted to engage with that work. I will say this, it’s interesting. I forget which essay it was, it was either the dream essay or the final episode essay but I may have told you this story already. But there was this film critic named Tim Crichter but he was writing essays in Film Quarterly and he was writing essays about Kubrick works and I forget, he wrote some other essays. But when I’d read them I say oh ok, I see them in some different way, I see how his logic works, he’s opening my mind up to a different perspective. I want to go back and watch the movie again right away. And so I wrote, it was one of those two, and he wrote a letter to the magazine and said, I think you’ve got it. That makes sense, I think you’ve got it. And I was like, ok that’s it. I’m completed. That’s it, if I got the guy who influenced me to write a letter saying yeah, you figured it out then I get it. Just for a personal, just myself, accomplishment that was it. So when you say those nice words to me, I get that same feeling again, someone is able to take it and think about it in their own way and make something substantive of it. I was looking at your list and you’re gonna be maybe surprised at what my #1 is. Honestly and truly, it’s the pilot. 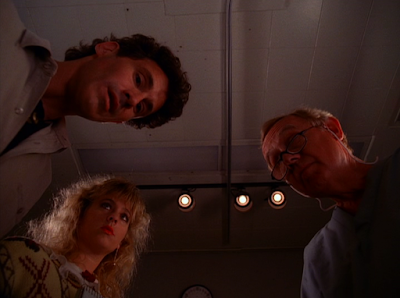 The pilot episode, the two hour Lynch directed on location, the introduction to Twin Peaks. And the reason is, it seems to me, and of course I write about it in the book. I find that the pacing of it, the directing of it, the cinematography of it, it’s just perfect, it’s just perfect. When they’re making it too, Lynch says when they’re making it they didn’t know if anything was gonna come of it and they were relaxed, they were just, let’s do this, it’s new and it’s different and it’s fun. It’s a pure uncut Twin Peaks. And I guess, it doesn’t have any of the supernatural element to it, it doesn’t have any of the mythology in it to speak of, all that stuff comes later, and I love that stuff, I embrace that stuff, but there’s something about that episode, it’s just…Donna sitting in the classroom and the girl running by screaming in the courtyard. Those scenes to me, it still gives me a little chill when I just said it. It’s just like, oh! For me it can’t get any better than that. It’s just perfection. So I would call that my #1, if I had to pick one that I could only watch again it would be that. I’d probably say, it’s hard for me to pick number two. My number two would either be death of Maddy or the final episode. Both of those episodes are extremely powerful. Obviously Lynch is in really full creative mode. The difference significantly being that in the last episode Lynch is essentially adlibbing it, having to make it up on the fly and stay true to the characters and the idea that he believes Twin Peaks is. That to me is just a monumental work because he did it. He accomplished it. Whereas when Bob kills Maddy, that was scripted, they knew how they were gonna do that. They knew how they were gonna get to it. And the sequence at the end, at the Road House, Bobby’s there, that’s just… I don’t know which one to pick. Obviously they pulled material from the stuff that had been filled early on, part essentially of the pilot to fill out that fourth act. That again is an example of Lynch just saying, let’s see what we can do here. It's a pick that is further down the list, but that episode more than any other episode of Twin Peaks affected me. It’s not an exaggeration, I literally fell off the couch watching that, just in absolute awe of how challenging, unconventional and completely brand new it was. So it will always be high on my list for that memory. But there’s early sequences in that episode too where Bobby and Mike go out to meet Leo in the woods, that’s a fantastic sequence. The flashlight in the woods? The rock-throwing sequence, just a great piece of comedy, it’s beautiful. So I’m gonna make it my number three choice with a tie at number two. I’d probably put nine above eight. Now you know that eight and nine were filmed back to back. I know this because I have the copies of the actual call sheets and if you look at it and start breaking it down, you see Lynch is on set filming at the hospital and they’re filming pieces of the different episodes. So Lynch wasn’t like I’ve finished with one, and I’ll come back next week. The script to eight is very much a script that’s designed to resolve all the cliffhangers quickly, get the plot kicked back into gear, there’s a big long expository scene where they have to get everybody back up to speed again, maybe new viewers, they’re thinking very much about new viewers in that episode who may not have seen the first season and then they’ve got to start introducing new clues, they’ve got to open up the investigation. There’s a lot of heavy lifting going on in those two hours. 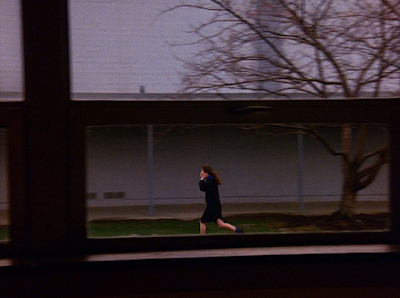 But it’s the one that follows where now they’ve got that out of the way, you see Lynch start to play a lot more. When Cooper and Truman adjust the stools… So there you’ve got for me, Lynch a little more relaxed, a little more playful, and that’s why that episode is superior, I think, to eight. The funeral episode is great, that Harley Peyton wrote. There’s a lot of good stuff, there’s Albert coming in, the scene with Albert in the morgue, everyone getting ready for the funeral, it’s a nicely structured episode. My least favorite episode is either the one we talked about which I think you like, or the Little Nicky episode with the thought balloon. I’m looking in the book now… It says here: "All in all the episode is a near total disaster, redeemed only by the fine concluding scene with Bobby, Betty, and Maj. Briggs." Yeah, I guess that one, nineteen. But there’s another episode and I think it’s the one you actually mentioned that you like, it’s the twenty-four: "The episode challenges episode nineteen as the worst in the series." So it’s either twenty-four or nineteen but because you like twenty-four I’ll say nineteen! I've had my difficulties with the series Twin Peaks, even while being a great fan of Fire Walk with Me -- I've raved about the latter in print in not just one but two encyclopedias -- but I just love your depiction of the series here. You very much make me want to go back and give it another try. I think the flawed, frustrating, and mesmerizing series is very much strengthened by its relationship to the film. I think the film benefits from that relationship too (for one thing, the climax of the movie feels a bit pointless in isolation - or at least impossibly cryptic - whereas I think . Nonetheless, I've put myself on record as claiming the TV show needs Fire Walk With Me more than Fire Walk With Me needs the TV show. It's a strange phenomenon but I still believe it. Of course, the new series/season will further complicate the relationship between the two and I'll be curious to see how it does it. I'd love to read those FWWM entries you wrote! Is this John Grant, btw? It's wonderful to read both of your thoughts, particularly on the interrelationship between FWWM and the series, and on how the the bumpy quality of S2 factors into the show's appeal. As you guys noted, that's a point that gets lost in most critical discussions, but which I'm sure speaks to many fans, especially those of us who have been thinking about TP on and off for decades. Building on your points, my feeling is that the dips in quality echo the ways in which Twin Peaks plays with meaning, tone, texture, theme, even formal elements. These aspects of the show are in some ways deeply and deliberately inconsistent, and, I guess, a fundamental part of the show's appeal. In a sense the weaker bits of S2 fit into this pattern. That's not to forgive them their excesses, but it does make my response to them complicated. By the way, I was linked here by Fire Blog With Me (http://fire-blog-with-me.tumblr.com/), a lovely TP blog - worth checking out. Now that I've found this site I can't wait to have a look around. Keep up the good work! It's funny how it works that way. The bigger picture of Twin Peaks is a unity that comes out of extreme fragmentation some intentional, some - as it turns out - unintentional. I can only suspect, for all the surprises it will offer, that the new series further emphasizes this tendency Whih Lynch exhibited not just in the finale and film but also the Log Lady intros and Entire Mystery presentation of the story. Oh and one more thing - what you're talking about came to mind yesterday when someone happened to forward me an email with some quotes from John Dewey (excerpts here: http://dailygood.org/story/1323/art-as-experience-john-dewey-on-why-the-rhythmic-highs-and-lows-of-life-are-essential-to-its-creative-completeness-maria-popova/) which spoke directly to this idea of art as working rhythmically through contrasts and tensions to achieve unity. A very old - ancient, even - idea which I think applies with unique significance to Twin Peaks (how many other works were created and then resolved themselves in such pertinent fashion), despite it often bein tagged with the "postmodern" label. What's fascinating is that Twin Peaks, at least in some senses, connects with the engagement that Dewey describes. Most obviously, Copper embodies this way of seeing, but arguably the rhythms that you speak of also encourage it in the viewer. I dunno, just thinking about this stuff while I type - needs more thought. Thanks for the link. TP is formally post modern, maybe? As you say, the underlying ideas probably less so.